Before calligraphy took over my life, sewing was my passion--designer and hand-tailored clothes, quilts, embroidery, upholstery. I remember getting up at 4 in the morning to sew a section on a pink ultra-suede skirt, or the pony-print for the seat on a French Provincial seat, before leaving for work. Those were the days. . . This is my latest postcard design. I can find my nibs!!! I spent part of the last two days organizing a few of my nibs, both pointed and broad-edged. In addition to these correlated cardboard "holders" in the base and lid of a small cigar box, I loaded boxes of vintage nibs into a larger cigar box. I should never need to purchase another nib in my lifetime! A couple weeks ago, the Inland Empire/Pomona Valley chapter of SfC sponsored a program at the Riverside Main Library, to make these coptic-stitched books, using the covers from discarded books. Amy Spencer did a wonderful job of teaching--I learned tips I don't remember ever hearing before. And, she had great tools I had never seen, such as a tearing bar (heavy weight to ease tearing of the paper to size for the pages). While I was familiar with curved needles for other purposes, she had bent needles available, which made it so much easier to maneuver the needle between the signatures. Thanks, Amy!!! While at the workshop, I decided to vary the design, so I waited until I got home to finish the book. My motto is Use what I have!, so I rummaged in the armoire in my art room and gathered muted colors of patterned scrapbook paper, chosen because they coordinated with the cover. I cut the paper to fit and wrapped each signature with a coordinating paper. Nothing from the old book will go to waste--the spine is tucked inside to serve as the bookmark and the pages of text will be fodder for collage. Next, I want to make books with covers cut from Davey board and covered in a collage of favorite papers. So much fun! My friend, Joyce, uses a snail as her personal symbol. (I use a heart.) 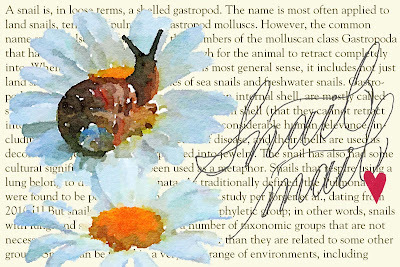 I'm always on the lookout for greeting cards featuring snails, to send to Joyce--it's amazing what you find when you look. I once found a snail Xmas ornament. 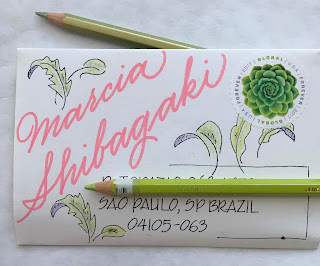 It recently occurred to me that I should create a snail mail postcard to send to her. A couple days ago, I created the first draft and today, I revised the lettering from heavy brush script. This is written using Shaded, Open Script, a style designed by Anne Elser. I may redo the lettering again, later, after I've had more practice. 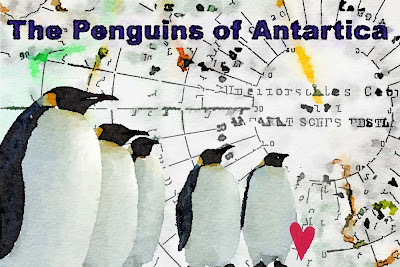 I joined Post Crossing and the first mail assignment was for a woman in Germany, who loved penguin images. I took that as a prompt to design a new postcard--here's the result. Created in class with Sherri Thornton, who is teaching, again, after a break during which she worked full-time as a graphic artist. I'd wanted to take classes with her since 2003, when I saw work by her students. We all had a great time--the techniques are simply fun! Envelope sent earlier this month. I'm enjoying practicing monoline cursive, as learned with Anne Elser. 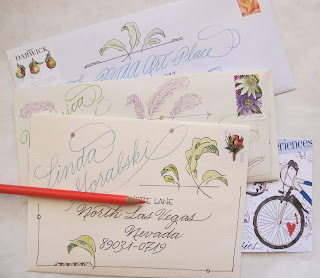 For the second year in a row, I've been participating in Month of Letters. I've collected postcards and greeting cards during my travels and am now endeavoring to work through many of those, in addition to the postcards that I design, as well as the fold notes I've created as homework for Anne Elser's Monolinear Lettering class. So far, I've sent out more than one piece of mail per day and I aim to maintain that, even after February ends. Drawing from last September. Marjorie Grace-Sayers and I frequently take drawing classes at the Norton Simon. The museum includes all supplies, including paper, clipboard, pencils, etc. I chose to make this drawing in my journal, since when I create them on separate pieces of paper, they just go into the trash or a file folder, rarely to be seen. The instructor brought flowers for us to loosely draw, after we examined a couple of the museum's Dutch still-life florals. 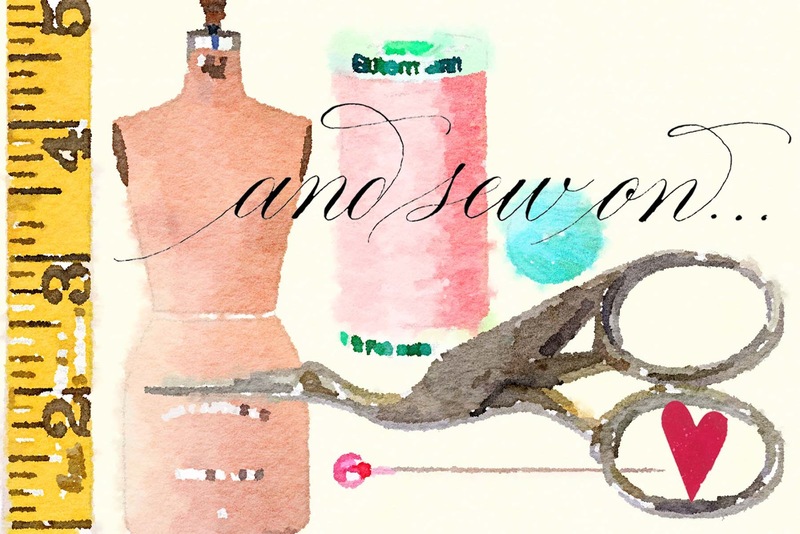 Another class series is coming up--I'm looking forward to attending several of the sessions. Last year, I made a quick drawing of a colored pencil pear on a page of Barbara Steel's altered book. The strokes are quick and rough. I loved the bright colors on top of the yellowed page of text. Maybe this round, I should pick another piece of fruit?